This week the world lost a precious jewel...Maya Angelou. A teacher, activist and artist, she was a warrior for equality and peace. And she had some amazing quotes. I have always been a big fan of one-liners and short little quips that provoke thought and emotion. One of my favorite ones of hers was reprinted in the USA Today this week. "I've learned that you shouldn't go through life with a catchers mitt on both hands; you need to be able to throw something back." I love that! When we spend all of your time catching everything we become fat and lethargic. We were created to move, to flow in the stream of life and to reciprocate acts of kindness. You know "do unto others as you want them to do unto you". We are conduits of blessing and when we "don't throw back" everything gets plugged up. 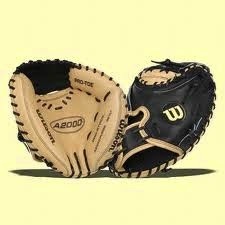 As you close out this week, don't walk around with two catchers mitts on. You weren't created to catch it all! Someone is depending upon you. You may be their only answer this weekend. Throw something back!